­­­A group of six students studying at the University of Malta for degrees in Bachelor of Education in Science and Masters in Sustainable Development recently travelled to Olomouc in the Czech Republic to attend a series of lectures, seminars, workshops and field-trips spread over six days as part of a project entitled ‘EduChange’. This project, in which students from universities in Norway, the Netherlands and the Czech Republic are also involved, is enabling the participants to collaborate with peers to create knowledge that addresses climate change through innovative place-based education and blended learning. The project, co-funded by the EU Erasmusplus programme, is focused mostly on water issues, one of the most ‘visible’ manifestation of climate change. Two of the project workshops focused on the use of story maps. These maps, which can be created using the Crowdsource tool, enabled the students to publish and manage a crowdsourced story to which anyone can contribute photos with captions. The prospective science teachers learnt how they can use these story maps as a pedagogical tool in their lessons and fieldwork. They were also briefed on the use of Google Maps, another tool that can be used outside the classroom during field-trips, whereby students are given places to visit, and once they arrive on site, they can be given a task on the spot through the app. Another workshop focused on place-based education where the participants were asked to think not only about how climate change may affect people alive today but also future generations. 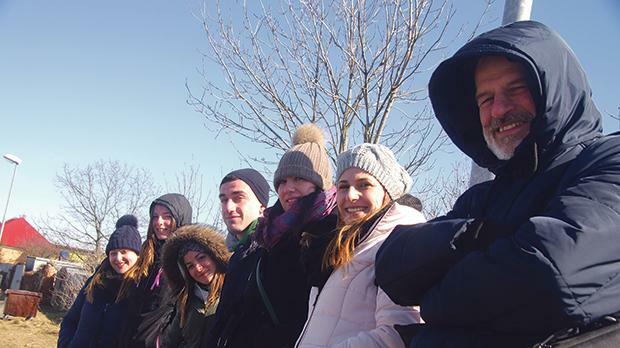 The students walked around the river next to the Czech university that hosted the event and discussed how the area could be changed due to climate change and what mitigation measures could be adopted. The final workshop focused on photography. The students were guided on how to improve their photographic skills to communicate ideas and information. They then explored Olomouc and practised taking photos showing examples of sustainable living in the city. The workshops provided experiences that the prospective teachers can use to enhance their lessons while promoting education for sustainable development. The Maltese participants will now be translating the methodologies learned into lessons that they plan to deliver in Maltese secondary schools. In May, the participants will be attending a science jam session in Norway to share and evaluate their experience with the other international participants of the project.